Knowledge reduction is one of the main problems in the study of rough set theory. 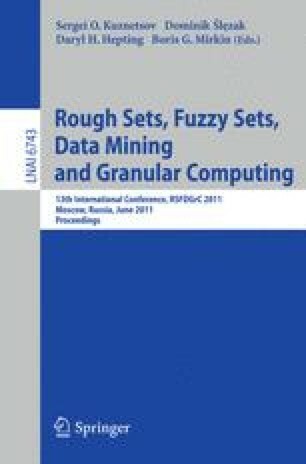 This paper deals with knowledge reduction in the sense of reducing attributes in random information systems with fuzzy decisions based on the Dempster-Shafer theory of evidence. The concepts of lower approximation reducts, upper approximation reducts, random belief reducts and random plausibility reducts in random fuzzy decision systems are introduced. The relationships among these reducts are examined.